It doesn’t have to be a wedding to do this. 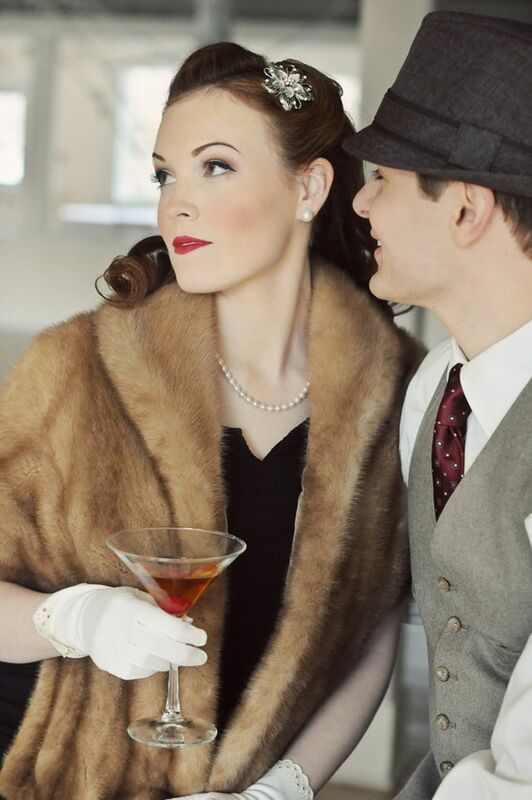 A vintage glamour photoshoot can be on a whim, or just the perfect date a couple needs to have fun while making memories. Why not play dress-up this Valentines Day. Can you remember when you were a child and playing dress-up was the most fun of all? Putting on your mommies high heel shoes, fur wrap and red lipstick or for the boys; your dad’s fedora, silk tie and sport coat that hung down to the floor, gave us warmth about being a child , where we all wish we could turn back the hands of time and relive. Well you may not be five years old anymore, but dressing up is still fun and memorable. 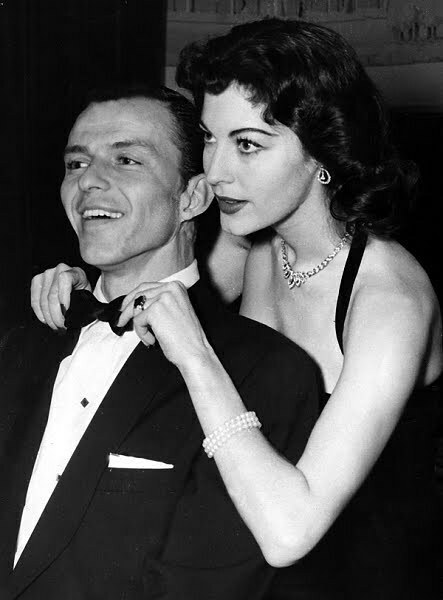 Vintage glamour is here to stay and we look back in time where black and white films from the 1920s- 1950s enthralled us to a point where dressing the part has now become and has been for a while, the “in” thing. 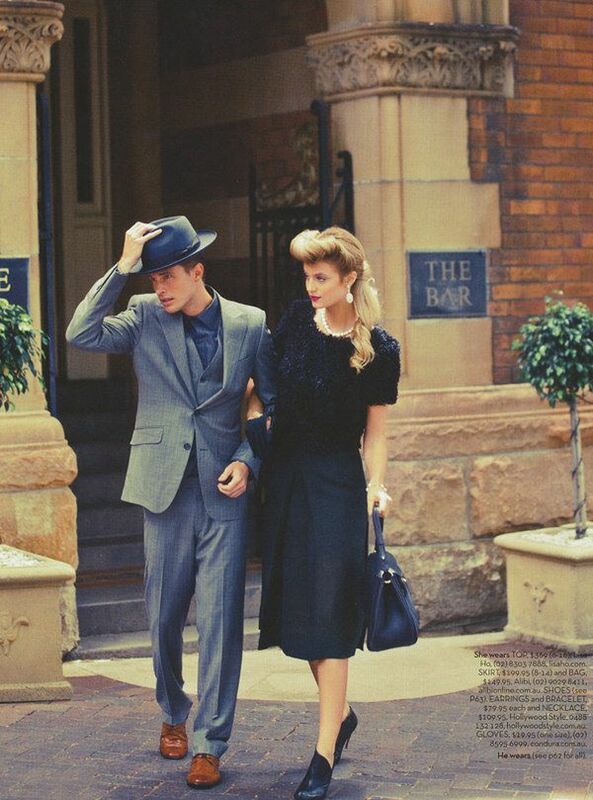 Vintage style is no longer of the past, it is everyday wear for millions of woman and men everywhere. It’s a lifestyle that younger adults have adapted into their world as the way they want to be seen today. Photographers noticed long ago that this is a fact, so they grabbed their cameras and photographed thousands of vintage style enthusiasts, either for their own portfolio or for the couples themselves. Weddings all over the world use vintage glamour style and décor for their wedding theme. Others do it for the sake of having fun and creating wonderful memories. 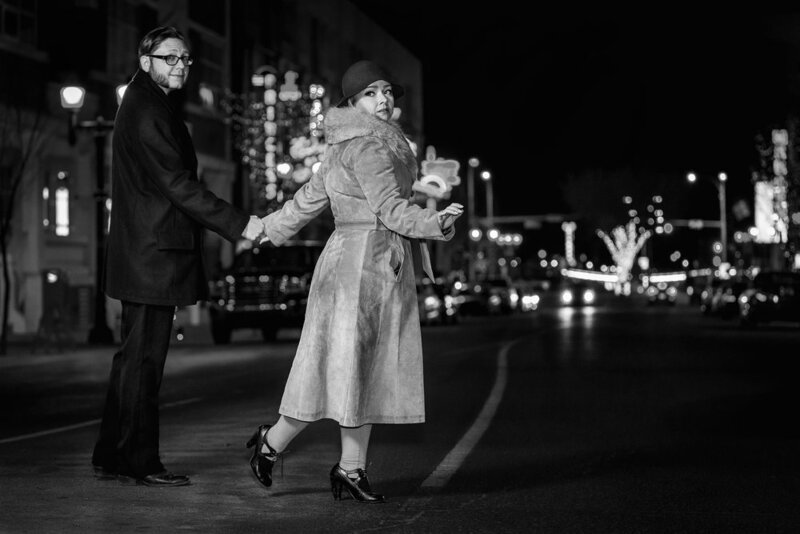 Why not do a couples vintage glamour style photoshoot as your? You don’t need a wedding or even any specific reason for that matter. But what a great idea for two people in love. There are many vintage and thrift shops in your neighborhood that carry vintage style clothing. Have fun shopping prior to the V-Day together. Help each other out by making sure each of your outfits ties in well with the other. Try on the clothes and giggle throughout your entire couple experience. Photographers everywhere have appropriate vintage glamour backdrops either at their studio or can suggest a location that would fit your photoshoot desire. You and your significant other may have a special place in mind, if so, a photographer can arrange a shoot date and bring any needed equipment with him to guarantee vintage style images. If a 1940s Chevrolet is desired for your shoot, there are many vintage rental car companies that would be happy to assist you. Maybe you have a friend or someone you know that may let you borrow their vintage car for the day. Plan ahead to make this special day a day to remember. Once you both dress up and go through your photos afterwards, you will see how in love you both were. You will pull out the photos over and over again with fun and loving memories about the day you played dress-up with your loved one.